At the moment you are looking at our wonderful merchandise, The Word Among Us Catholic Mass Edition by the brand The Word Among Us. This is a beautiful merchandise for any Christian and should be in your home. Order this item now! 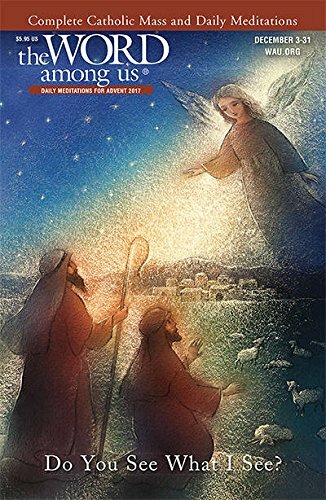 The Word Among Us magazine is the largest monthly devotional for Catholics based on the Scripture readings from Mass. Each issue includes daily meditations based on the Mass readings, articles about the saints, and practical advice on living the Christian life. Our Complete Catholic Mass Edition adds the daily Scripture readings, along with the complete Order of the Mass. The Kindle Edition of The Word Among Us contains all the articles found in the print edition, the full Mass readings and prayers from the Liturgy, and the daily meditations. For your convenience, issues are auto-delivered wirelessly to your Kindle at the same time the print edition starts. "Cover to cover, The Word Among Us helps us better hear the word of God. 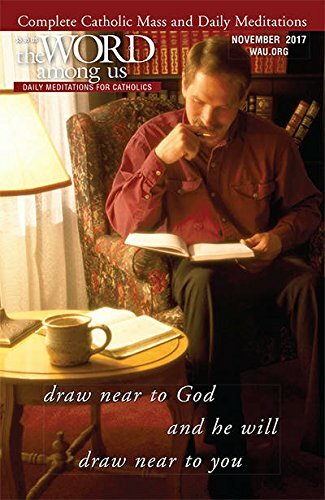 With its rich meditations on the scripture for the day, on through its inspirational articles and uplifting special features, we experience God speaking to us each day in fresh and meaningful ways. Starting the morning with The Word Among Us helps us hear echoes of God's voice with us throughout the day."